If you’re planning to fly from any part of the UK, airport parking is worth considering. When carrying a lot of luggage, dropping the car off at your airport parking point, and getting the shuttle to the airport, is the most stress free way to start your holiday. I’ve based these choices on reputation, customer satisfaction ratings, and price. FLYING FROM ANY UK AIRPORT…. Fly Park Plus: Airport parking, travel packages and price comparisons, enabling you to select value-added packages to suit your travel plans. Airport Parking Essentials: Comparison engine to help you find the lowest priced airport parking from quality providers from all major UK airports . Purple Parking: From most UK airports. 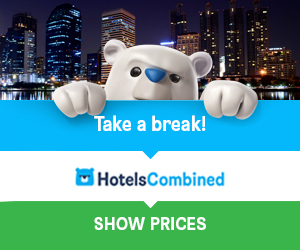 Save up to 60% on packages including hotels and lounges for business and leisure travellers. APH Airport Parking & Hotels UK: Winners of British Travel Awards Best Airport Parking Company, offering a wide range of hotels and lounges. Holiday Extras: Your chance to compare over 200 car parking options at 27 UK airports. Also hotel and lounge bookings at very competitive prices. Airparks – Proud To Park Your Car: Covering many UK airports, they have an award-winning reputation, so rest assured you’ll get the best prices. FLYING FROM GLASGOW OR EDINBURGH…. Flying Scot Glasgow: The one I use, as I always fly from Glasgow. Five minutes from the airport, fast, efficient service, they never let me down. Flying Scot Edinburgh: I’ve never used the Edinburgh facility, but friends of mine have, and it comes highly recommended, with great prices on offer. PLEASE NOTE: I have specifically listed the Scottish parking options above, because those who exclusively serve Scottish airports usually offer more competitive prices. SHOP AROUND FOR THE BEST DEALS…. The prices for airport parking and/or hotels can vary quite a bit, so this is something that’s definitely worth shopping around for. And I would recommend you do just that. TIP: I personally wouldn’t go with any of the airports or airlines that offer parking facilities. They tend to be more expensive than the regular parking companies. MORE REASONS TO USE THESE FACILITIES…. I have used airport parking on many occasions in the past, and most recently, I use it EVERY time I’m flying. Going away for a week, it can be as cheap as taxi fares, saves so much time and hassle, and it ‘s really convenient, especially for a family with children. Most parking facilities are quite close to the airport, so ideally, you can expect, or at least you should look for, a shuttle journey that takes no more than 5 – 15 minutes. If you have an early morning flight, it may be wise to book car parking plus a hotel for the night. At least you’ll have a little more sleep and hopefully, feel more refreshed. If visiting Scotland there’s ‘money savers’ worth looking at, like free entry attractions and discount travel passes to help your money go further. You can find your ideal Scotland Accommodation with a great selection of hotels, holiday cottages, holiday rentals, hostels, and Scottish Castles. If you’ve not booked your flights yet, try this Search Facility for the best price options.